Have the SMALL popcorn when you go to the movies! If your favorite movie genre is horror or thrillers – get the SMALL popcorn. Because research from Cornell University says movie-goers are more likely to munch while watching scary movies. Why? Blame the stress from the edge-of-your-seat action! It increases the stress hormone cortisol, which prompts us to eat more in case we need energy to run from Freddy Krueger! 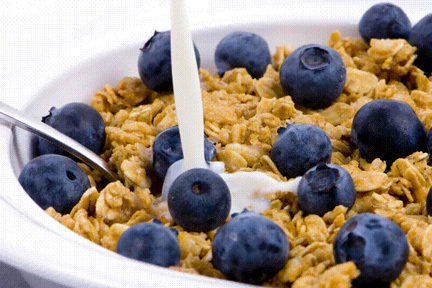 Cortisol also makes us crave fatty and salty foods – not kale and blueberries. So if you’re going to watch horror movies – get the small popcorn. Cornell’s experts say small portions can be just as satisfying, both physically and psychologically, as servings with 7-times as many calories. Fight allergies with these foods! Allergy sufferers……Put these things on your shopping list: onions, apples, blueberries, red grapes and green tea. According to the journal Clinical & Experimental Allergy, those foods are high in an antioxidant called “quercetin.” And research shows it prevents immune cells from releasing histamine – which is a protein that gives you symptoms like itchy, watery eyes and sneezing. You don’t need fresh blueberries for your smoothie. Go ahead and use frozen ones. They’re even more nutritious. That’s because the ice crystals that form during freezing break down the plant cells. That means, when you finally eat them, the nutrients and antioxidants will be more easily absorbed. because iceberg lettuce is actually good for you! The CDC found that iceberg lettuce ranks higher in density of the 17 most important nutrients than many other super-healthy fruits and vegetables. For example, it’s more nutrient-dense than sweet potatoes and blueberries! And it isn’t far behind broccoli and kale. So, when your kale-snob friend looks at your iceberg salad with scorn – let them know the CDC says it’s actually really healthy! The Mediterranean Diet isn’t the only game in town. You may want to try The Baltic Sea Diet! It’s recommended by the British Journal of Nutrition. The Baltic Sea runs along the coast of Sweden and nutritionists found that people who ate traditional Scandinavian foods were 43% less likely to be overweight. The diet is filled with whole grains like oats and barley – berries, vegetables, low-fat milk and fish. The diet has a lot of fiber – particularly from the grains. 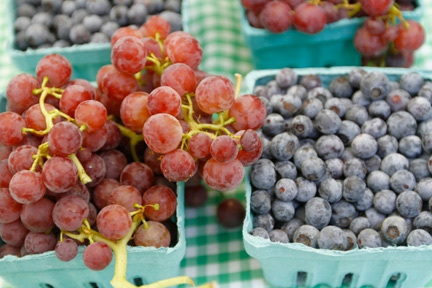 Load up on red grapes and blueberries: Researchers from Oregon State University analyzed more than 400 compounds to find out which ones were best at boosting our immune system. They found that two compounds stood above the others: resveratrol found in red grapes, and pterostilbene in blueberries. Both of those compounds play a significant role in immune function. So if you’re at the grocery store, make sure you grab some red grapes and blueberries on your way through the produce department. Here’s an easy way to make your mornings less hectic. Have the same thing for breakfast every day. Like blueberries in Greek yogurt. That’s what Dr. Oz has. It’ll be a no-brainer, so you don’t have to think about what to make – all you do is dump the berries on top of the yogurt and grab a spoon. Plus, you’ll be getting a ton of nutrients and protein, to keep you feeling full. Another plus? Women who eat the same thing for breakfast every day consume 100 fewer calories per day than women who change it up all the time.